Lewis Hamilton is one of the five greatest champions in Formula 1 history, says Fernando Alonso. 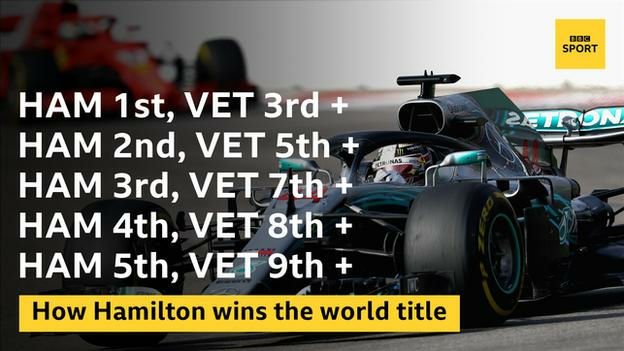 Hamilton will become only the third man to clinch a fifth world title if he wins Sunday’s US Grand Prix and Sebastian Vettel is lower than second. Alonso named Hamilton with Michael Schumacher, Juan Manuel Fangio, Ayrton Senna and Alain Prost as his top five. Hamilton winning a fifth title would be a “great achievement”, added two-time champion Alonso. “It is difficult to compare different times and different ways to win those championships,” said the Spaniard, who tied on points with Hamilton when they were McLaren team-mates in 2007, with both men finishing one point behind title winner Kimi Raikkonen. “Lewis probably winning five now, same as Fangio, it is a great achievement, and if one had to do it in our generation, I am happy it is him. Hamilton is the only driver to win a race in every year he competed in F1. 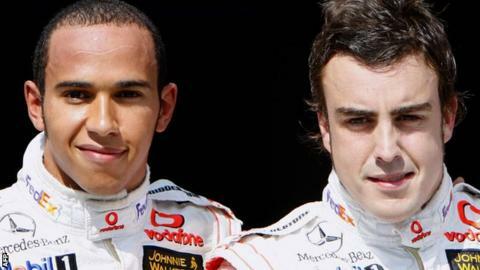 Alonso said: “He showed the talent from day one and fighting for the championship in his rookie year, winning in 2008. Hamilton said he was not approaching this weekend in Austin, Texas, thinking about winning the title. Hamilton is 67 points clear of Vettel – with only 100 available over the remaining four races – after winning six of the past seven races. “We expect Ferrari to punch back hard here this weekend,” he said. “We can’t be relaxed. We have to come here and raise the bar. Vettel, who has not finished in the top two in the past four races, said: “It is pretty clear. We need to be quick enough to win the races and then it depends on what the other side is doing. Focus on that. “The last couple of races we have not had the speed so we have some ideas floating around and hopefully we get back. Let’s see what the next four races bring. We hope to be back to the form we showed earlier. “I always try to win. You have to be aggressive to win. You need to find the right balance. You never try to do something silly not to finish because that way you can’t win. BBC Sport has live coverage of all the season’s races on BBC Radio 5 live and BBC Radio 5 live sports extra, plus live online commentary on the BBC Sport website and mobile app – including audience interaction, expert analysis, debate, voting, features, interviews and video content.